Parks Associates is set to discuss connected consumer technologies and the roles they play in the home to aid in remote care, wellness, and independent living during their upcoming workshop “Connected Health and IoT: Impact of Smart Home Solutions.” This workshop will explore insights from their newest research on health and independent living: 360View: Health and Independent Living. 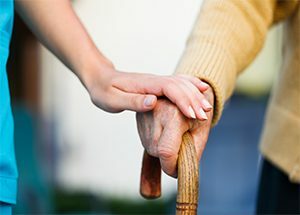 According to the report, more than 30% of US Broadband households are or will be caregivers for a loved one, 50% of which would be willing to pay for an independent living solution. Smart home monitoring devices allow people to stay in their homes longer thanks to their ability to alert first responders in an emergency. These devices also can detect fire, water leaks and other safety issues that seniors may face. 34% of caregivers who are willing to pay for an independent living solution are also interested in purchasing from a company that specializes in these solutions. 17% would prefer a home security service provider while 15% would prefer a health insurance provider. The workshop is a collaboration between Parks Associates and PCHAlliance that aims to provide knowledge and guidance on connected health and home opportunities. For details about this Parks Associates research and workshop, click here.